There are two different OEM options available – in both the peripheral products (camera, speaker, remote control) are identical. Chromebox for Meetings is powered by Chrome OS, which means it’s fast, secure and easy to manage. Management and support is covered by a £210 per device annual fee. New hardware to support larger rooms. The new Chromebox for meetings bundle equips rooms with the same instant face-to-face meeting functionalitiesas the original bundle, but with additional hardware to support larger rooms. Pan-tilt-zoom camera: USB-enabled 1080 HD PTZ delivers professional video quality for larger conference spaces. 2x microphone and speaker: Capture conversations in longer rooms with an additional mic and speaker. Enhanced dual screen support: Now you can connect two monitors to the PTZ camera and dual microphone and speakers, so your participants can get the richest video conferencing experience. *Please Note: The Chromebox for Meetings requires a license which will needed to be renewed annually for £210 after purchase. 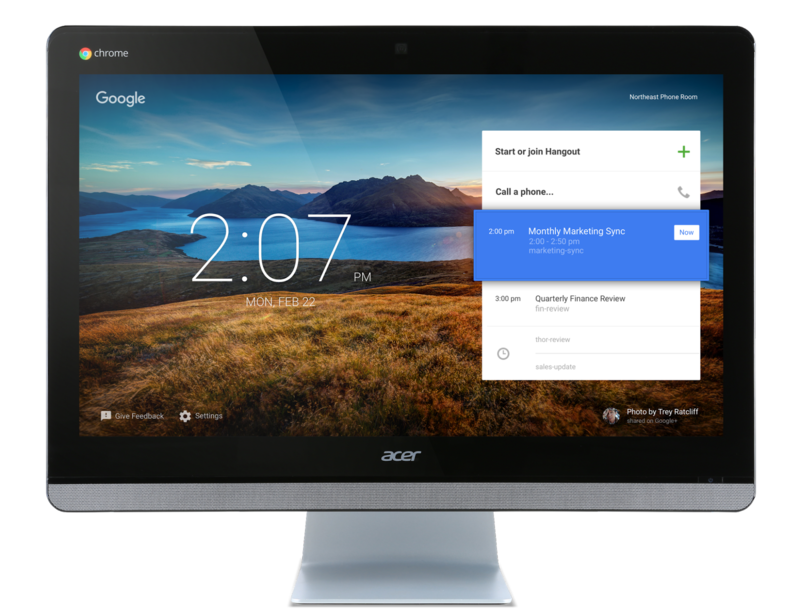 Chromebase for meetings is simple to deploy and unlike almost any video conferencing system today; it’s self-contained, plug and play, no additional accessories are required.